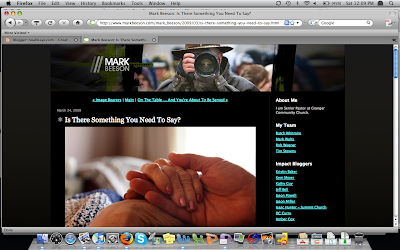 This is a truly powerful blog post by Mark Beeson, a Senior Pastor that I have really grown to respect. This is an inspiring and moving post. Click here to read it!